The Football Manager series has sucked more hours from players around the world than almost any other. 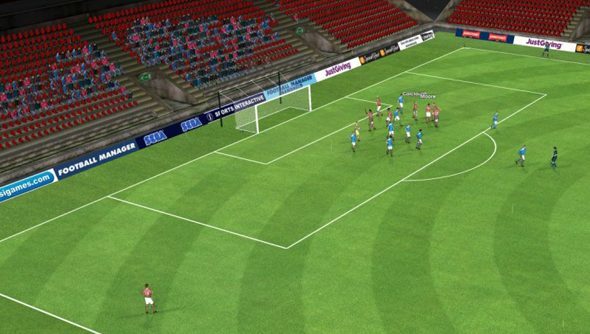 Even now, a year after its release, Football Manager 2014 sits in the top 10 charts on Steam. Miles Jacobson, Sports Interactive’s games director, revealed to me that on Monday, 20 October, FM14’s players had racked up more than 23,000 years of play time. Well, in fact, it’s significantly more but that’s just from the people who bought it. You can understand why when you look at the numbers. Monday saw FM14 players rack up 23,000 years of combined playtime. With a million copies sold, that’s an average of 201 hours played per player. And the people who are buying the game are absolutely loving it. We’ll have more on Football Manager next week, including the football players who shouldn’t exist.